Vintage Sign | Hensler Nursery, Inc.
We’ve been growing trees for America since the 1950’s right here in Hamlet, Indiana. 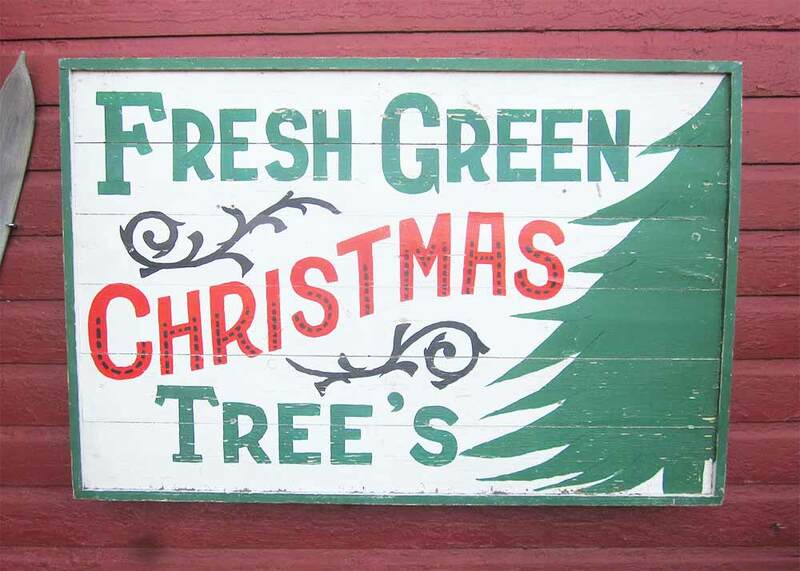 This is a sign we used back then on the tree lot. We loved growing beautiful Christmas trees then, and we still love growing them for you today. And yes, we know that apostrophe doesn’t belong there, but we’re fond of the sign anyway.